Bollywood has given us something exciting, every Eid. 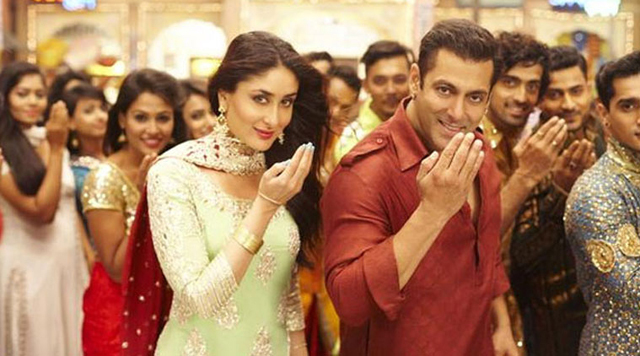 And for this Eid, it was Bajrangi Bhaijaan that any film buff, whether a Bhai fan or not, was looking forward to. Yes, I was looking forward to this one too, thanks to the trailer that built a lot of excitement. Read my review on the trailer here. I’ll start with the things that I expect to see in a Salman Khan film – Bhai playing a charming superhero whose only reason of existence is to save the world, a largely incoherent script that exists only to showcase him as a superhero and low-IQ comedy supported by meh any-Salman-movie-type one-liners. Here’s what I don’t expect – a narrative that’s both self-reflexive and highly emotive, a heroine that does more than just being there and a drama that actually moves you. 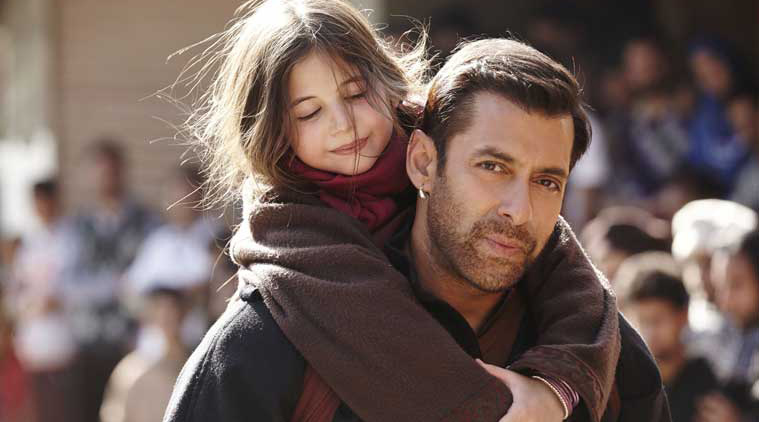 Yes, Kabir Khan’s Bajrangi Bhaijaan is all this and much more. The film starts with a Muslim family watching TV in Sultanpur village, Azad Kashmir, Pakistan, and an expectant mother’s (Meher Vij) baby kicks when Shahid Afridi leads Pakistan to victory in an India–Pakistan cricket match. A few years later, the baby has grown up to be a young speech-impaired girl, Shahida (Harshaali Malhotra). Her mother takes her to Hazrat Nizamuddin Auliya’s Dargah in Delhi, India, to pray for her speech being returned. Unfortunately, Shahida gets lost in India with no way to head back over the border to her home, and boards a freight train, reaching Kurukshetra, India. In Kurukshetra, Shahida meets a Hanuman devout Pawan Kumar Chaturvedi, also known as Bajrangi (Salman Khan), and gets associated with him under strange circumstances. Not surprisingly, Bajrangi takes it upon himself to reunite the child with her parents, and that’s how the film unfolds. Salman Khan is not the only hero in Kabir Khan’s Bajrangi Bhaijaan. Unlike the usual Bhai films, where the heroine is just there and has no big role to play, Rasika (Kareena Kapoor Khan) fits in beautifully in the story. You can also add Nawazuddin Siddiqui to that list of unsung heros. His bumbling Pakistani TV scribe nearly steals the film, whose star is the little lost girl Shahida, from across the border. 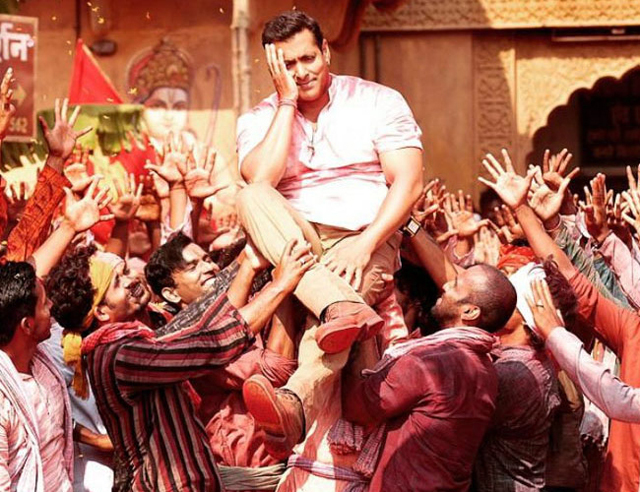 All in all, Bajrangi Bhaijaan easily qualifies to be Salman Khan’s best movie till date. It’s an entertaining film for sure and definitely in the not-to-be-missed category. Go watch, if you haven’t already! Leaving you with a song from the movie – Selfie Le Le, a song that’s I’ve been listening to a multiple times every day. ← Movie Review: ABCD 2 – An Entertaining Movie. And Entertain You, It Will!